The Ujala Baoli in Mandu, Madhya Pradesh. This was never meant to be a project of any real substance," says Victoria Lautman, a Chicago-based freelance journalist, author and amateur photographer. 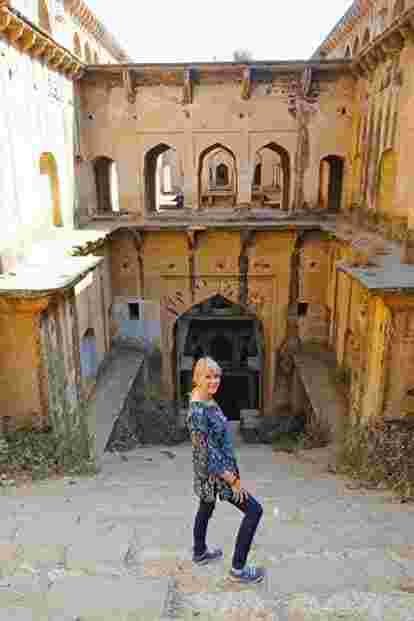 Five years ago, she began writing a piece about step-wells, or baolis, in India, one of three articles she was working on at the time. Curiosity about these architectural wonders, though, had taken root almost 25 years earlier. “I first visited India when I travelled on a break from work with a small group of architects," she says. They had stopped in Ahmedabad to see the modernist architecture of B.V. Doshi, Le Corbusier and Louis Kahn. However, it was the memory of a chance spotting, over a low parapet, that would remain with her. Lautman would visit India many times, but never long enough to follow up on that sight—the Rudabai ni Vav, a well-known step-well in the town of Adalaj, between Ahmedabad and Gandhinagar. “I never ‘processed’ (what I saw) and knew absolutely nothing about step-wells," she says. It was only in 2012 that she managed to visit India for three months to focus on these intricately designed, old structures. “When I began to see more, and delved further into research, the whole trajectory of my life changed." 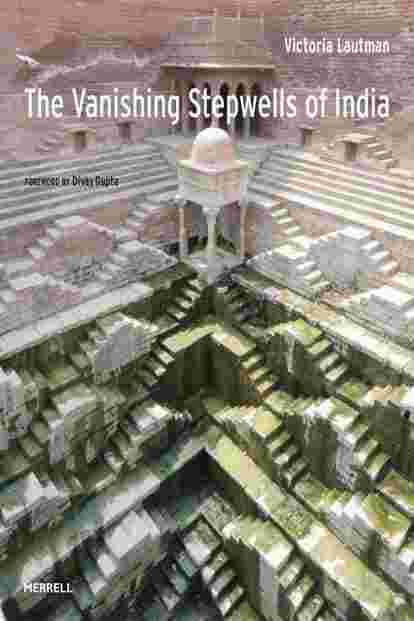 More materially, it has resulted in a book called The Vanishing Stepwells Of India, published in March by Merrell. The cover of the book, published by Merrell. In a 2015 interview with Colossal magazine, Lautman had said the aim was to visit around 120 such structures across seven Indian states. She has ended up visiting over 200, most recently many in Telangana, including the Badi Baoli, Venugopala Swamy Temple baoli, and Mah Laqa Bai Chanda baoli, this February. The book lists only 75 of these, with multiple photographs of each. While informative to the point of providing GPS coordinates for each location, Lautman’s notes and descriptions are simple, often accompanied by tales and urban legends about each place. It is not an academic text, unlike earlier, more scholarly works on the topic by authors such as Jutta Jain-Neubauer, Morna Livingston and Julia Hegewald—whose research she credits “ceaselessly" as “indispensable" to her journey. Likewise, Lautman’s pictures, too, are accessible and honest—they betray no traces of heavy editing to bring out colours or the interplay of light and shadow—and show the sites as they are. They almost never deviate from their pointed purpose of showcasing the geometric precision of step-well architecture—or a whimsical lack thereof—in their present-day landscapes. “Until last year, I never wanted or intended to write a book and wasn’t paying close attention to technicalities like lighting or angles," says Lautman, who takes photographs of every step-well she visits, irrespective of its condition or scale. “If I were an actual photographer, I would have been worried about everything—lighting, lenses, settings. It’s actually a miracle that my photos look as good as they do. I own a small inexpensive point- and-shoot camera, literally set on ‘automatic’. My only requirements have been that it should have the highest resolution for the smallest size since I sometimes must hold it between my teeth when using both hands (to slide down) particularly difficult step-wells," she adds. Through her travels, she has battled bees, bats, bugs, filth and the occasional mongoose, but the difficult bit was locating some of the more hidden and unknown step-wells, and then photographing them. “Some step-wells were so hidden away that I was forced to ask people if I could walk through homes, climb on to their roofs, or hang out from their windows. I have also had to lie on my belly in a few precarious places or crawl out on to high ledges," she recalls. She has also ended up seeing as many baolis by accident as by intention. “That happens all the time…. The hunt can be both rewarding and infuriating. Finding Van Talab (in Amer, Rajasthan) was intentional, even though it took ages to find," she says. “Many others have appeared when someone—a taxi driver, teawallah, farmer, herder—realizes they have seen a step-well in the area, and then tells me how to find it," Lautman adds. She has credited one such helpful cowherd, Khimabai—who helped her find Jhilani Vav in Dhank, Gujarat—in the book. The Vanishing Stepwells Of India largely covers structures in Gujarat, Rajasthan, Haryana and Delhi. “Naturally, any desert, dry region must have a reliable water supply year-round, which step-wells ensured…there’s no need for them in places like Kerala, where water is easily accessible," she says of an under-representation of step-wells from the southern and eastern parts of the country. “There are, however, many fantastic temple tanks in the south—a different typology," she adds. In 2014, Purnima Mehta Bhatt’s academic book Her Space, Her Story: Exploring The Stepwells Of Gujarat, which studied the history of how women in Gujarat used step-wells, was published. 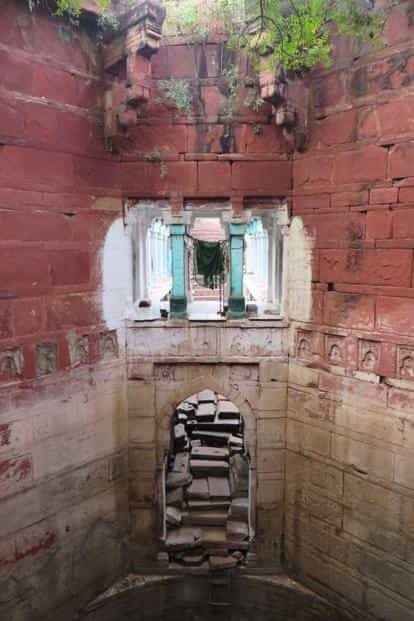 This was followed by the Baolis Of Bundi: The Ancient Stepwells, published by the Indian National Trust for Art and Cultural Heritage in 2015. Lautman’s non-scholarly exploration is a well-timed addition to the study of these architectural forms that peaked, in construction and social use, between the 11th and 16th centuries. “This humble, utilitarian step-well is so simple in design, yet one of the most powerful, visually. It’s outside the fort city of Champaner, where few tourists venture, although the city is one of only two Unesco World Heritage Sites in Gujarat, the other being Rani ki Vav, in Patan (the only step-well that has so far achieved the honour). I had seen a photo of the Helical Vav somewhere and was eager to visit it, but as usual it wasn’t well-marked, just off the road into Champaner itself. Considering the remote location, it’s in surprisingly good shape, and when I give lectures, it’s always one of everyone’s favourites." “Once you get to Osian, Katan ‘baoli’ is right there, easy to locate, which is always a joy. The town is well worth visiting anyway, because of its spectacular, significant temples. It is also a draw for tourists yearning to experience a ‘desert encampment’. 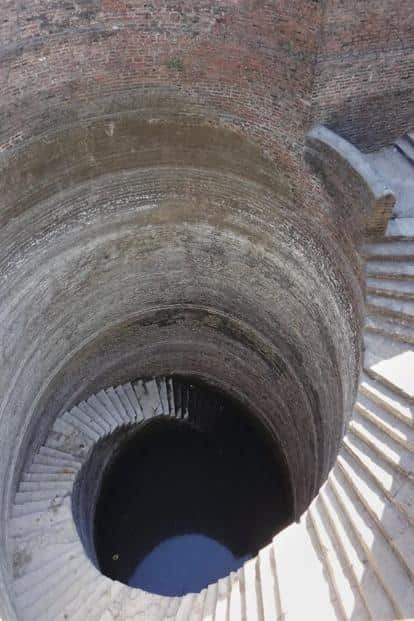 But I’ve never seen visitors in the step-well; maybe it was just my timing or it’s simply not what people go to Osian to see, and therefore don’t know that it’s there. Katan is important historically as an example of a ‘kund’—a step-well design recognized by the pattern of pyramidal steps." “It’s not common to come across painted step-wells, particularly one as old as Indaravali, so it was startling to see the green, turquoise and white against the deep red sandstone. I’m always torn when a step-well has been ‘updated’ by modern intrusions, whether tile, painted sculpture or even electricity. But here, it didn’t bother me, since the well is still being used by the community, even if not for its original purpose. What’s more interesting to me is the choices that were made—why turquoise, for instance? As a result of those contemporary alterations, the pictures came out particularly strong, I think. Even more so than if it was left in its original state."